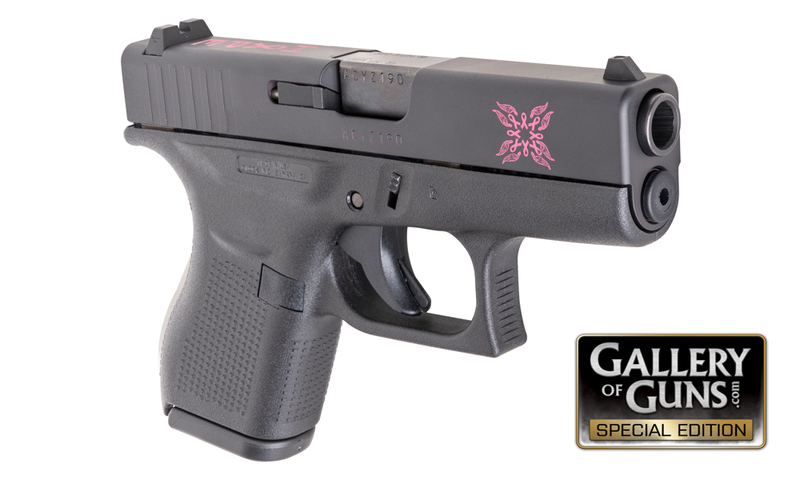 To help raise awareness, we've released a Special Edition Glock 42 with a Sig Pink and Graphite Black Cerakote finish. On top of the slide, you'll find the word, "HOPE" with the letter "O" replaced with a pink ribbon, engraved and finished in Cerakote. 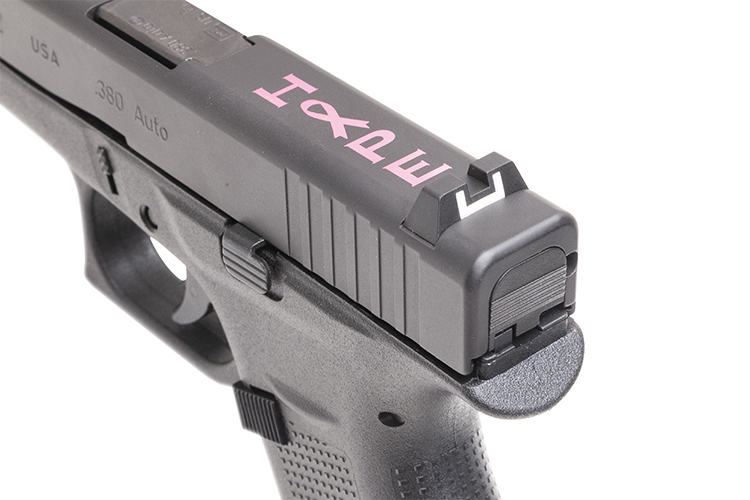 Face the gun right to find an engraving of a custom emblem comprised of pink ribbons ‐ a unique and memorable icon. In honor of Breast Cancer Awareness Month, Davidson's will make a donation to the Breast Cancer Research Foundation.